Bought this for my son. He had a basic G Shock before. He says this one does great in the tougher environment he uses it in. Very happy so far with the purchase. Few watch brands are as versatile as G-Shock. Renowned for Robustness and toughness, design and style. 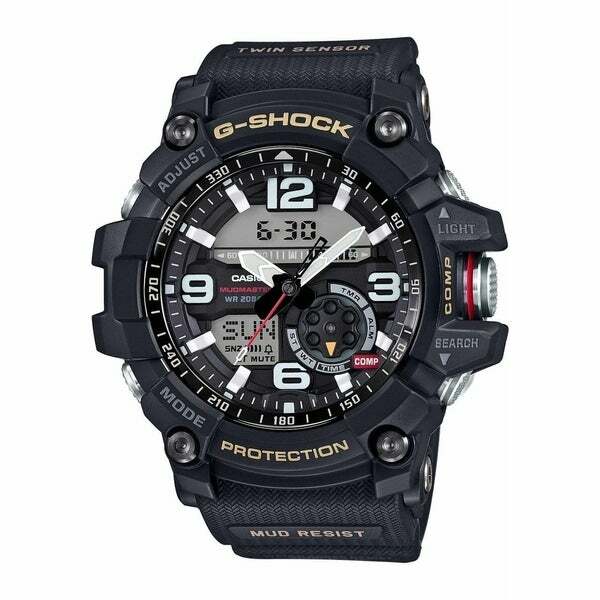 This men's watch from the G-Shcok collection features a black resin strap and black analog-digital dial. I have purchased 5 watches on overstock and this one was by far the one that I have have been searching for!!! The rugged yet classy, casual feel on my wrist makes me think that I am ready for the black tie event mixed in with the rescue of orphans whom have been abducted!! That’s right , this watch makes me feel like James Bond and I am ready for anything!! !